This story of a home exchange during the holiday season was shared with by one of our very loyal and experienced exchangers, Yvonne and her partner Mike. Christmas in Athens didn’t at first seem like an obvious choice, but when we saw George and Maria’s lovely place was available we knew it was the perfect place and time. Although we knew Athens wouldn’t have the obvious Christmas-y vibe of snowier cities, it really did make up for it with its many illuminated decorations and its winterfest buzz. When we arrived at George and Maria’s place, the Christmas smell of clove and cinnamon emanated from the bakery beneath their home and we were welcomed by their friend with 'Kala Christougenna' (Happy Christmas). That evening too whilst wandering in the Psyrri area we came upon Little Kook quite by accident. We could hear the merry music and see the reflection of the lights from the neighbouring street. Both inside and out, the whole place was covered in lights, sleigh bells and fake snow. Entering the café was like stepping into a winter wonderland, crammed and lit up with every type of Christmas-themed ornament imaginable. Apart from the added atmosphere of Christmas. We found Athens to be perfect to visit in winter. In Plaka, one of the prettiest and lively districts, you could almost believe you were in an old Cretian village, with so many inviting tavernas and bars. Drinking coffee and Custard Pastry (Bougatsa), surrounded by comfy old furniture by a cozy fireplace was a joy, even though it was sunny and springlike 16 degrees outside. One of our favourite days was Sunday, when the area around Monastiraki Square turned into a giant flea market. Locals in berets with newspapers tucked under their arms, sat drinking strong greek expresso and then poked around amongst the jumble of curios - books, paintings, clothes to trinkets, vintage vinyls and furniture. It was all very atmospheric, and gave the feel almost of a Maroccan Bazar. We also loved the fact that the city was full of really good murals and graffiti, making Athens a real street art paradise. It seemed that any blank, concrete buildings were there to be a canvas. Some of our favourite things were actually just enjoying the simple things - walking around Dionysiou Areopagito, the wide stone pedestrian street that gave us great views up to the Acropolis. Filopappos Hill, where we took a slow walk to reach its full view of the city, or in Syntagma Square, the central square of Athens, where we sipped ouzo in one of its tavernas and watched the Athenians surprisingly calmly doing their last minute Christmas shopping. Times sitting in the cozy cafes, people watching, visiting interesting museums and galleries, which were almost empty of tourist, taking in excellent street art scene or just relaxing on George and Maria’s balcony. All in all Athens happened to be the most surprising destination we visited this year and another perfect swap. So we’d recommend George and Maria's place and we’d recommend Athens at Christmas! This story was shared with us by a new member, Kim. In her story, she shares memories of meeting an experienced home exchanger. They discuss experiences and she gathers wisdom on organizing exchanges. 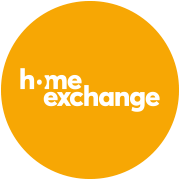 Discover how you can have longer stays with family and friends, like this member did in New Hampshire, through home exchange opportunities!